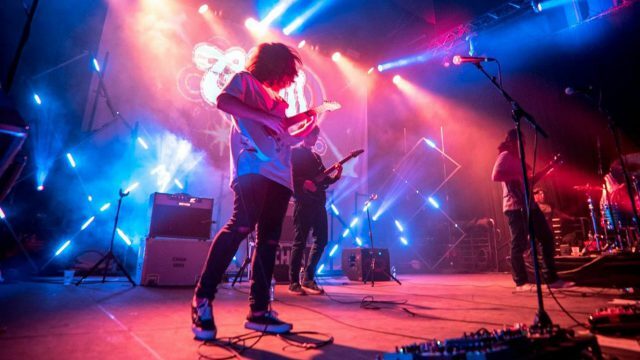 SUNRISE, FL – CHAUVET Professional has added a powerful new punch to its popular Rogue series of moving fixtures. 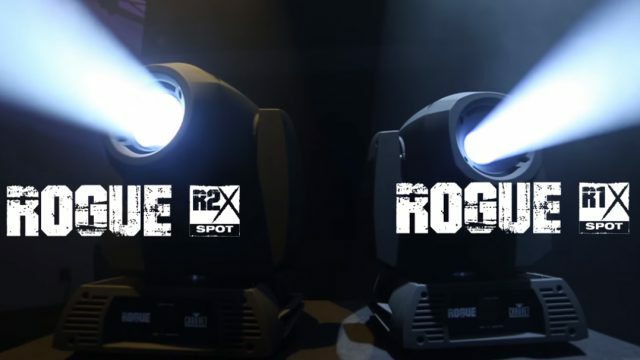 The company has introduced two bright and bold moving spots: the 300W LED Rogue R2X Spot and 170W LED Rogue R1X Spot. Their intense output and rich collection of features notwithstanding, the two newcomers are surprisingly compact and affordable. 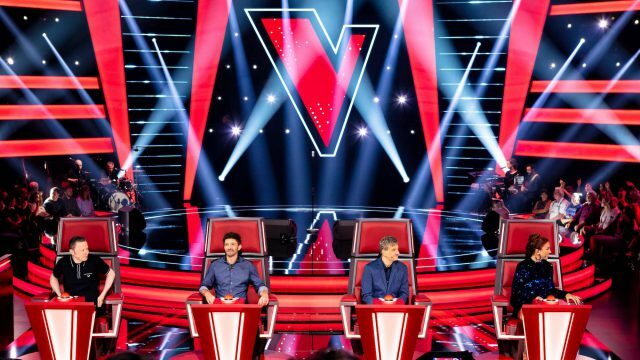 In addition to their impressive output (11,000 lumens for the R2X Spot and 6700 lumens for the R1X Spot), both fixtures offer a range of performance features designed to spice up any show. The R2X Spot, for example, features a 16.5° beam angle, two variable scrolling color wheels with seven colors and split color capability, as well as a 3-facet prism and smooth gobo morphing between its dual gobo wheels. 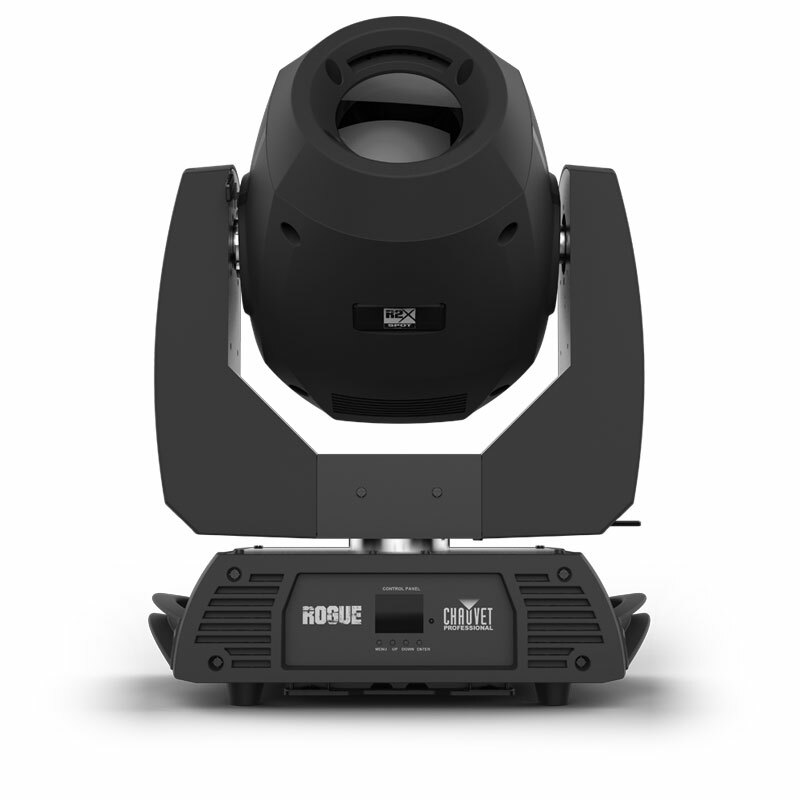 The Rogue R1X Spot is also a creative powerhouse, with its motorized iris and focus for beam shaping, 16° beam angle for crisp gobo projections and a color wheel that features eight colors, split color ability, and continuous variable-speed scrolling. Adding to its versatility are its dual gobo wheels with seven interchangeable gobos, as well as its 3-facet prism for stunning aerial effects and 16-bit dimming for smooth fades. Both fixtures are RDM enabled for remote addressing and trouble-shooting, and both feature: Neutrik® powerCON® power input/output connections for power linking; simple and complex DMX channel profiles for programming versatility; 3- and 5-pin DMX input/output connections; and selectable PWM settings for flicker-free operation on camera. 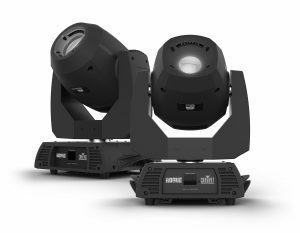 The R2X offers a selectable LED maximum output, allowing it to match Rogue R2 Spot fixtures that are already in a rig, while the R1X can be matched to existing Rogue R1 Spot units. These features should come in handy, since the two powerful new fixtures should be occupying prominent positions in more than a few Rogue rigs in the months ahead.